KABUL -- Afghan security officials are reassuring the public that measures are in place to enable the Afghan public to participate without fear in the parliamentary vote set to take place Saturday (October 20). 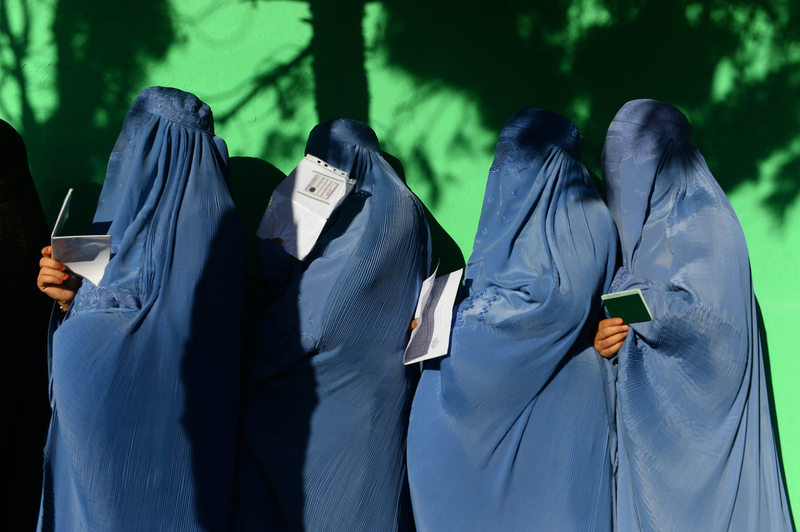 A total of 2,565 candidates, including 417 women, are competing for 249 seats in parliament, according to Afghanistan's Independent Election Commission (IEC). Afghan security forces are tasked with the responsibility of providing election day security, including protecting the polling stations for the first time since the current government assumed power in September 2014. They will be assisted by the coalition forces if necessary. According to a joint security plan for elections, more than 50,000 Afghan forces, most of whom are Afghan National Police (ANP), have been deployed and taken positions starting Sunday (October 14), the Interior Ministry spokesman Najib Danish told Salaam Times. "They have been tasked with securing the electoral process throughout the country." "In addition to these forces who will be assigned to certain posts in accordance with a joint security plan, some of the police units will also be on standby," he said. "The security responsibility of polling stations will be divided into three circles," Danish said at a October 14 news conference in Kabul. "The first circle includes the national police and personnel from the National Directorate of Security (NDS); the second circle, located approximately 3,000 to 5,000 metres away, includes [a combined] national army and national police forces; and the third circle consists of [a joint] police, NDS and national army forces," he said. Afghan forces have made good progress with respect to offensive operations against militants as well as the arrest of those who were involved in forgery and election-related fraud, he said. "In order to provide suitable atmosphere for the participation of the people in the national election process, security forces successfully carried out more than 30 separate and joint operations last week across the country," Danish said at the news conference. "Preparations to ensure the election security have been made in order to facilitate public participation in the vote," the Defence Ministry spokesman Ghafoor Ahmad Jawid told Salaam Times. In addition to the Afghan army and police forces, which have already been tasked with their specific responsibilities, Afghan National Army air and ground forces are also ready to assist with the task of securing the elections process, he added. The Taliban, fearing democracy and the group's loss of legitimacy in the eyes of the public, has called on Afghans to boycott the election. The Taliban has warned candidates to withdraw from the ballot, which it has vowed to attack, and told education workers to stop their schools from being used as polling stations. Afghan officials have, however, urged the public to disregard the Taliban's warnings as merely a propaganda campaign aimed at distorting public opinion on the relationship between Islam and democracy. "The enemy's propaganda will not prevent people from participating in elections, and these elections will be held in a proper manner," President Ashraf Ghani said at an October 7 meeting with Afghan military commanders in Kabul. "The Taliban do not believe in democracy," the defence ministry spokesman Jawid told Salaam Times. "They just want to confuse, disturb and distort public opinions. But we pledge to the people that our security forces will secure the elections with all their might and strength." "Has there ever been a national process about which the Taliban haven't made any warning?" Danish told reporters at the news conference, dismissing the Taliban's warnings. "Regardless, the Taliban cannot do anything other than engaging in propaganda." "We have held several elections so far, and God willing, we will hold and complete the upcoming election on Saturday as well," he said. Security agencies have assured the IEC that security will be provided at polling stations, IEC spokesperson Sayed Hafizullah Hashimi said at a news conference in Kabul October 13. 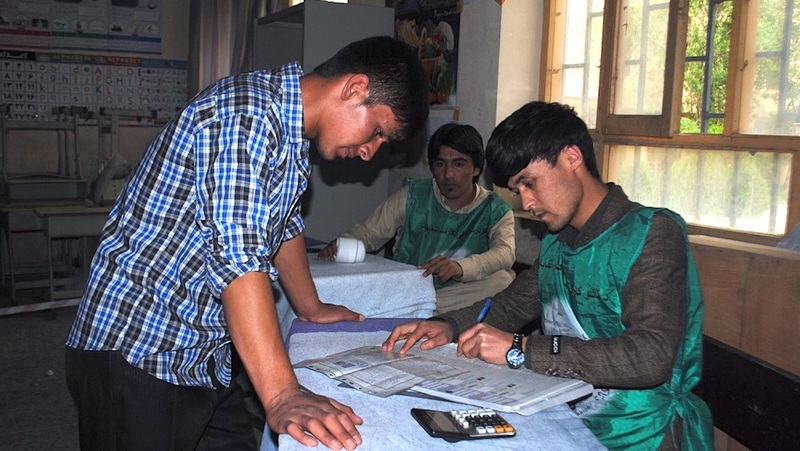 "We are proud of our security forces for successfully securing the voting registration process, and I am hopeful that as a result of their efforts, the elections will be held in a secure environment," he said. All preparations have been carried out for the election to be held on the scheduled date, and the election will be held without delay, he said. The election will take place in 33 provinces of Afghanistan with the exception of Ghazni Province. 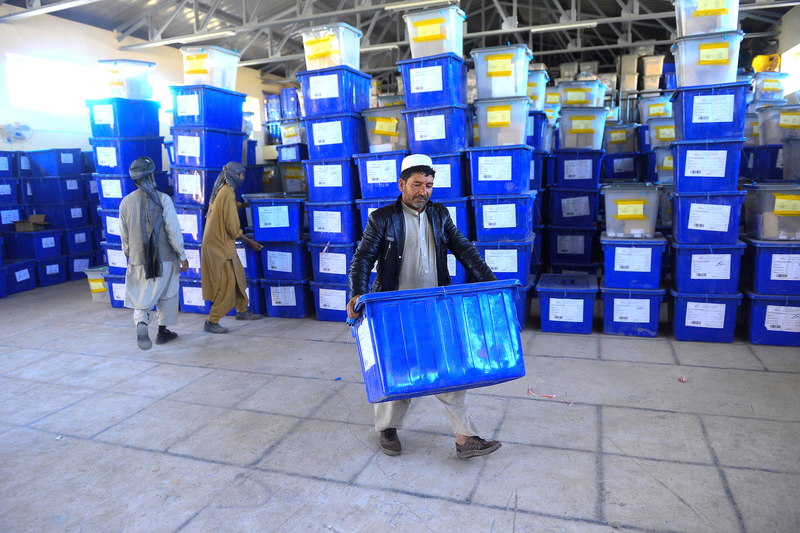 "Due to [the] serious security situation and other problems in Ghazni, it is possible that the elections will not be a just and general representation of all the province," the IEC said in July. A new date for the Ghazni vote has not yet been announced. "So far, 107 institutions, embassies, political parties, political movements, civil society organisations, electoral observation organisations and members of media have received the necessary credentials to observe the election process," Hashimi said, referring to the role played by national and international observers to ensure the transparency of the polls. "The number of domestic observers has reached 450,000 and there are 132 international observers," IEC deputy spokesperson Shaima Alam Soroush told Salaam Times Thursday (October 18). "We do not tolerate anyone's interference, and the president has issued a decree saying that any government employee who interferes in the election will be terminated on the spot, brought to justice and prosecuted," Hashimi said. Candidates are also playing a role in ensuring democratic principles are upheld. "I have encouraged people to take part in the elections through events and programmes, which I personally organised and held prior to the launch of my campaign," Khalid Khalid, an independent parliamentary candidate from Herat Province, told Salaam Times. "In my conversations with the people, I first and foremost ask them to participate and vote for their preferred candidates, and then I tell them that if they wish they can vote for me," he added. Sughra Saadat, a spokesperson for the Transparent Election Foundation of Afghanistan (TEFA), welcomed the fact that the IEC is holding the election without further delay. "Among the sources of encouragement for the public to trust the transparency of the vote is the presence of civil society observers who monitor the election process without supporting the government or the candidates," she told Salaam Times. "With regards to the people's trust in civil society organisations, we will monitor the entire election process -- from campaigns to the ballot counting and announcing of the election results -- in order to ensure that people's votes will be counted and they can play a role in their own destiny," she said. Our people should mobilize for a real election and the government should also prove to the people that it will have such proper programs and plans in place for holding of elections, whether parliamentary or otherwise presidential election. This is necessary to ensure that people are going to be satisfied and will be able to vote for their intended candidate. I would also like to ask the honorable people of Afghanistan not to sell their votes in return for a little bit of money, and to think about their future, as well as the future of their children and their entire nation. Our professor used to say: there are three types of stooge in the world. 1. The one who buys a pair of shoes and the shoes turns out to be one size too big or too small, as a result of which he suffer from sadness and sorrow until the boot wears out; 2. The one who votes and, God forbid, the elected representative turns out to be a crooked one, as a result of which he should spend the next five years to suffer from sadness and sorrow; 3. the one who gets married and turn out that his wife is a fool, as a result of which he suffer from sadness and sorrow for the rest of his life! Hence, be very careful, for your vote has a five year lifespan!